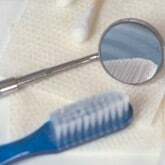 DentalPlans.com makes it easy for you to find an affordable dentist in Tualatin, OR. Just type in your ZIP code now to compare the discount dental plans in Tualatin and view a list of participating dentists. Join the plan that best fits your needs and enjoy discounts of 10% to 60% on most dental care services at dentists like Dr. Austin Phoenix. After signing up to the right discount dental plan, visit Dr. Austin Phoenix or any other participating Tualatin dentist to enjoy savings on Orthodontics according to your plan's fee schedule. At DentalPlans.com, our discount dental plans start at only $79.95 per year and can provide you with significant savings on most dental care procedures like on Orthodontics and more. We make it easy for you to search an enormous selection of general dentists, orthodontists, oral surgeons, periodontists, pedodontists, endodontists, and prosthodontists! So if you want discounts on oral exams, cosmetic teeth whitening, braces (orthodontics), root canals, crowns and more, DentalPlans.com is a great resource for locating Tualatin dentists and dental care specialists.